Custom Hypnosis MP3 – You Decide the Content! This is a custom, state-of-the-art professionally recorded MP3 in which YOU decide the content! So, it’s just like an office session with Steve G. Jones! Steve will create a personalized MP3 using your name and the information you provide. This creates a very powerful effect! An excellent option for anyone who cannot find what they are looking for on the purchases page. This is a Custom Hypnosis MP3 in which YOU decide the content! So, it’s just like an office session with Steve G. Jones! Simply purchase the MP3 and e-mail our staff at [email protected] with the information you would like to have on the MP3. Dr. Steve will then create a unique MP3 using your name and the information you provide. This creates a very powerful effect! Then, the Custom Hypnosis MP3 session will be sent to you electronically or transferred to our FTP server for you to download. You do NOT need an MP3 player to download your custom hypnosis mp3. Feel the energy of positive change moving you powerfully in the direction of your goals. Then, all you have to do is play the MP3 at night as you fall asleep…you will drift into a normal sleep when the Custom Hypnosis MP3 audio is over and wake up in the morning refreshed. Listen each night for up to three weeks and watch the changes take place in your life easily and effortlessly! Feel the energy of positive change moving you powerfully in the direction of your goals! It’s easier than you think. You’ll see a new you and you’ll feel great about it!!! Dr. Steve G. Jones, Ed.D, Clinical Hypnotherapist charges $25,000 for a first-time private hypnotherapy session at his office, but you can get all the benefits for this low price. Not only will you receive an hour-long completely customized recording, which you can keep playing at home, but included in the price of the Custom MP3 is a complimentary half-hour phone consultation (you save $750.00), as well as your choice of several inductions, deepenings, and background sounds with binaural tones. Once you have received your unique personalized hypnotherapy recording, simply listen to the MP3 every night as you go to bed for three weeks and feel the changes happening in your life. You will feel more empowered, more in touch with your true self, and you will truly know that your goals are within your reach. This is the same hypnotic technique he uses with busy professionals, Hollywood actors, and people like you who are ready for a positive change NOW! 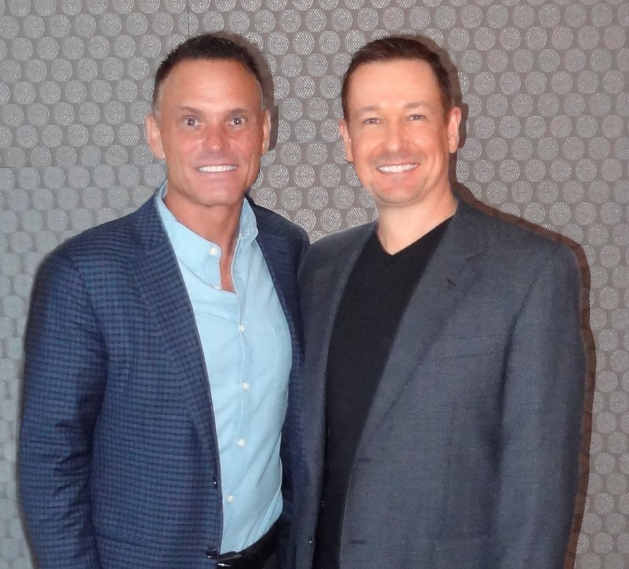 Dr. Steve G. Jones achieves AMAZING and LASTING results. Hypnosis is the easiest way to affect change in your life because the positive messages go straight to your subconscious mind effortlessly so you can accomplish your goals and reach for the stars!! All you have to do is listen to the Custom Hypnosis MP3 download at night as you go to sleep!!! You’ll hear soft music, the gentle sounds of the beach, and the soothing sound of Steve G. Jones’ voice all working together to bring about positive changes in your life easily and naturally. 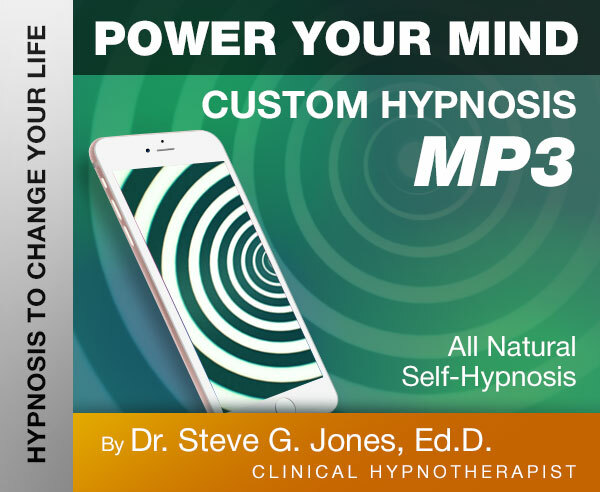 Dr. Steve G. Jones has been helping people improve their lives with hypnosis for over 20 years…now it’s time for him to help YOU… don’t wait, do it NOW !!! you’ll be glad you did. See you at the top!